Together with the Central Academy of Fine Arts (CAFA), we're delighted to announce Seven on Seven Beijing, the first China-based edition of the celebrated platform that pairs visionaries from the fields of art and technology, inviting them to create new projects through short-term, one-on-one collaborations. On November 20, 2018, this daylong event will be the culmination of the weeklong Education, Arts, Science, and Technology festival (EAST), directed by Professor Qiu Zhijie, dean of the School of Experimental Arts at CAFA. Seven on Seven Beijing debuts a new format, which reteams exceptional past participants to further develop their projects and presents additional pairs selected from an open call by Rhizome Executive Director Zachary Kaplan and Baoyang Chen, Faculty of CAFA. 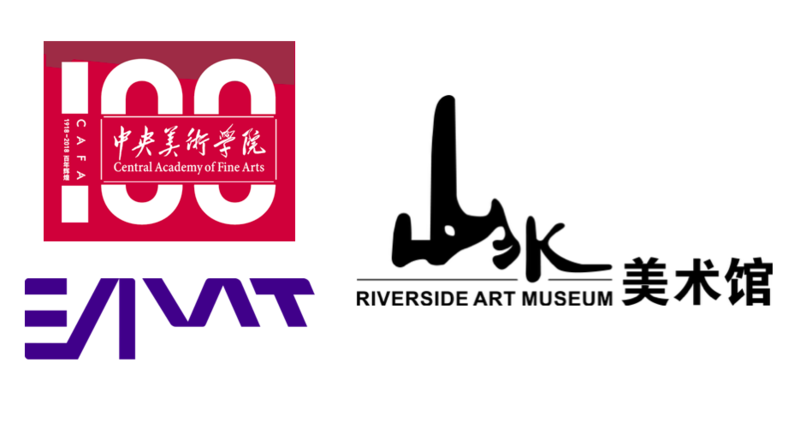 All projects will premiere with public presentations at Riverside Museum, dedicated partner and distinguished sponsor of EAST and Seven on Seven Beijing. Tickets for Seven on Seven Beijing are free and will be available starting November 12. Please check back for those and other details. Of this collaboration with CAFA, Rhizome Executive Director Zachary Kaplan said: "We are thrilled to have found a visionary partner in the Central Academy of Fine Arts, which has worked with us to adapt Seven on Seven for Beijing, bringing established collaborations to China and uncovering the future of art and tech through local research." Qiu Zhijie, speaking on behalf of CAFA, added: "With Rhizome and the New Museum, we want to build on Seven on Seven's past successes and create an entirely new mode of art-tech production that brings local art and tech communities to a more global context. I sincerely invite friends and colleagues to join us for Seven on Seven Beijing, this year's EAST conference, and beyond." The Central Academy of Fine Arts (CAFA), the only art academy of higher learning directly under the Ministry of Education, was founded in 1918 in Beijing. An academy where culture, history, and art flourish, CAFA enjoys the best art resources in the world. CAFA is a leading institution for modern art education in China and has nurtured many preeminent artists in the past hundred years. CAFA comprises eight discipline-based schools with over one thousand faculty, nearly five thousand undergraduates and postgraduates, and three hundred international students. The campus occupies 330,000 square meters for teaching and research. The long-term objective of Education, Arts, Science, and Technology (EAST) is to create a global alliance of art and technology institutions, research centers, and other educational entities to spread and exchange new ideas, thereby making room for new theoretical frames, mindsets, systems, and ideas to take shape. Such a union would also facilitate the use of new technologies, materials, and mediums; the acquisition and promotion of new working patterns; and active cooperation among art theorists, artists, art institutions, and innovative enterprises. EAST hopes that this worldwide convergence of creativity and responsibility will accelerate the transfer of knowledge and thus benefit the lives of individuals across the world. Riverside Art Museum is a private art museum founded by the Riverside Group. It aims at international cultural exchanges. With its global vision, the museum collects, preserves, and interprets contemporary Eastern and Western Art, focuses on building long term partnership with universities and research institutions. Riverside is dedicated partner and distinguish sponsor of EAST and Seven on Seven Beijing.